Tee off at one of Disney’s three award winning, Arnold Palmer designed, 18-hole courses - Disney’s Lake Buena Vista, Disney’s Magnolia, or Disney’s Palm Golf Course. 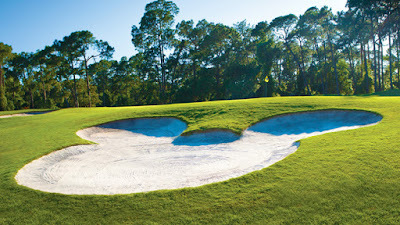 Disney’s Oak Trail Golf Course is a 9-hole course which is great for families or beginners. Golf instructional clinics are available for both adults and juniors, as well as personal lessons with a PGA qualified instructor. The use of a golf cart is included in your greens fee for the 3 large courses. Oak Trail is a walking course. Want to challenge the family to some hoops? Disney offers various sized basketball courts throughout the property. Equipment and access to basketball courts are complimentary to guests staying at select Walt Disney World Resort hotels: Animal Kingdom Villas - Kidani Village has a half court, Old Key West has a court near the Hospitality House, Saratoga Springs Resort & Spa also has a court with rentals and the Campsites at Fort Wilderness offers quarter-sized courts on the 200, 300, 900, 1300, 1400, and 1800 Loop. The Walt Disney World Dolphin also has a court near the Health Club. Take a cruise around your resort! Take a spin on a bicycle or surrey bike and get some exercise while touring your resort grounds. Children's bikes with training wheels are available as well! Bikes are offered on a first-come, first-served basis, and helmets and child seats are complimentary with bike rentals. Florida law requires bicyclists under 16 years of age to wear helmets. Kids love the Surrey bikes too! The whole family can jump in a 2-person, 4-person or 6-person surrey. Available to rent at the Boardwalk Inn Caribbean Beach Resort, Old Key West Resort, Port Orleans Resort - Riverside, and Wilderness Lodge. The Campsites at Fort Wilderness Resort offer both canoe and kayak rentals, plus small sail boats to guests 11 and up. Some Deluxe resorts also have small boat rentals available on site. Disney World has two awesome 18-hole mini golf courses: Fantasia Gardens and Winter Summerland. Santa and his elves can be seen year-round at Winter Summerland Miniature Golf where they built two different 18-hole experiences; a sand course named “Summer” and a snow course named “Winter.” Fantasia Gardens is themed after the movie Fantasia and also offers two courses, "Gardens" and "Fairways" to choose from. Being near Hollywood Studios, you can see the Tower of Terror while you putt. Guided fishing charters are a great way to spend a day outside the Parks. Up to 5 guests can fish off of a pontoon boat, or 2 can take a Nitro Bass boat out along the Disney waterways. Guided catch-and-release excursions take guests out on the freshwater lakes on Disney property. Poles, equipment, on-board refreshments, and subscription to Bassmaster Magazine are included. Moderate and Deluxe Resorts typically have boat docks and marinas right on site. Two and four hour excursions are available. 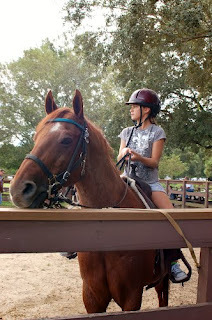 Disney’s Fort Wilderness Resort & Campground offers beginner and intermediate riders miles of trails where you can see deer, ducks, armadillos and rabbits! At Tri-Circle-D Ranch you can ride around the woods of Fort Wilderness at your own pace. Hay rides are also available at the Ranch. Take an old-fashioned wagon or carriage ride through the beautiful woodlands at Disney’s Fort Wilderness Resort & Campground or along the scenic banks of the Sassagoula River at Disney’s Port Orleans Resort Riverside. Christmas and Haunted Halloween themed carriage rides are a popular recreational activity during the holidays! Reservations are recommended and can be made up to 180 days in advance. Sammy Duvall’s Watersports Centre located at Disney’s Contemporary Resort offers various water sports rentals including parasailing. You will rise up to 600 feet above Bay Lake for a beautiful view of the Magic Kingdom. You can also try to wakeboard, water ski or even rent jet skis at Disney’s Contemporary Resort marina. Guests have to be 18 to rent, 16 to drive and can be any age to ride along. Parasailing has a minimum age of 6. Professional instructors teach classes for anyone who wants to learn to surf! Start from beginner to experienced where you can improve during a 2.5-hour session using the world’s largest wave machine, which produces surf every 95 seconds! These take place daily at 7am at Typhoon Lagoon Water Park in the largest wave pool in North America. 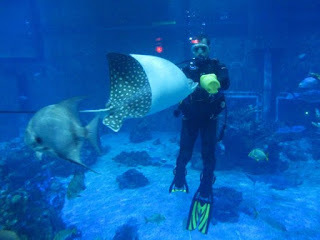 Jump into the 6,000,000 gallon aquarium at The Living Seas in Epcot. Your family and friends can view your dive on dry land through giant acrylic windows inside The Seas with Nemo & Friends. All Guests must be SCUBA-certified and at least 10 years of age to participate. Guests ages 10 to 12 must be accompanied by a paying, participating parent or guardian. The experience lasts 3 hours, and guests will spend about 40 minutes underwater in the huge Caribbean Coral Reef aquarium. Get an in-depth experience with bottlenose dolphins and explore The Seas with the help of a Scuba Assisted Snorkel unit. Guests will learn how Disney trainers care for marine life day to day and view the ongoing research in backstage areas at The Seas with Nemo & Friends at Epcot. You can also snorkel with sharks, rays and tropical fish at Disney's Typhoon Lagoon Water Park. Although it is a much shorter experience than at Epcot, it's free! Life jackets and masks with snorkels are provided free of charge. The tennis courts throughout the Walt Disney World Resort are free for use, and first come-first serve at seven different Disney resorts. Also, professional programs and clinics offered by Orlando Tennis are available. Disney’s Saratoga Springs Resort & Spa has amazing courts! These other courts are available as well: Bay Lake Tower at Disney’s Contemporary Resort, Disney Animal Kingdom Villas – Kidani Village, Disney’s Boardwalk Inn and Villas, Disney’s Old Key West Resort, Disney’s Yacht & Beach Club Resorts, Walt Disney World Dolphin and Swan Hotels, and the ESPN Wide World of Sports Complex. Bring out your inner Robin Hood or Merdia at Fort Wilderness Resort & Campground as guides lead you through a short training session on how to hold a compound bow and release an arrow into a range target. Adding these on-site excursions to your Disney trip will make your vacation more exciting! 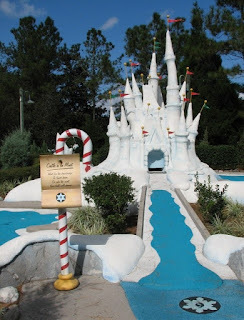 My kids love mini-golf at Winter Summerland after a fun day at Blizzard Beach Water Park. We can help you add these adventures to your Disney itinerary. Email Vacations@KingdomKonsultant.com to start planning today!